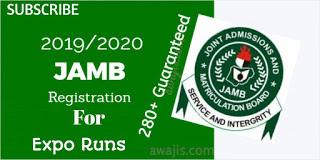 There are lots of stress and challenges every serious and determined student that really want to pass 2019 Jamb CBT Exam will encounter when preparing for the exams, but am here to assured you that there is no need to panic or stress yourself much while preparing for 2019 Jamb CBT Exam. 1. Learn to relax your mind: always learn to free yourself from fear. Why am I saying this? Some students always panic whenever they remember they have jamb exam. There is no need for you to worry much about that. All you have to do is study hard, get familiar with past questions and answer all available question, learn to give yourself question and solve it also. Take a nap whenever you feel tired after reading, eat healthy food, and exercise your body. Please this is a very important tips to grab because there have been issues where some students might forget some of the important materials that was required of them on the exam venue, simply because of panic that arise when they are traveling for their jamb exam. Relax your mind, have confidence in yourself because your panic means that you are not sure of your ability to pass the exam. I assured you that you can achieve more when your mind is relaxed than when you are in a state of panic!. 2. Time management: To help sort out your time management, set up a timetable for your study. Write down how many subject that you will be writing on jamb and the day on which you have to sit for your own jamb exam. Then organize your study accordingly. You may want to give some subjects especially mathematics, physics, chemistry (although that depends on how good you are with any available subjects) more study time than others, so find a balance that you feel comfortable with. Remember do not wait till exam date is announced before you start studying your books, and please note that “you are not only studying to pass your exam but you are studying to acquire good knowledge and understanding of any subject you are studying on”. Do not be deceived by your peers who will try to laugh at you when you are visiting the school library, or stay up at midnight or anywhere you finds it comfortable to study your books ahead of your exam because you are laying foundation to your successful jamb examination results”. 3. Studying previous jamb past questions: studying/solving past Jamb CBT Exam questions is very important for every jamb candidates, there is no doubt to let you know that 30% of every jamb examination mostly comes from the past written jamb examinations. 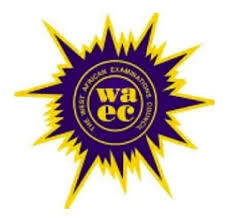 So therefore studying past exam question will not only help to enhance your exam preparations but it can also makes you minimize your chance of failing the jamb exam. 4. Getting rid of distractions: Make sure you have enough space to sort your textbooks and notes out. Try as much as possible to get enough study light that won’t make you feel dizzy or suddenly tired when reading, know what type of study light that is quite comfortable for your eyes, (although white light is more encourage-able to be used for studying). Is your table, chair comfortable? Are your mobile phones, social media chatting or computer games out of sight? Be sure to perfectly Try and get rid of all distractions, and make sure you feel as comfortable and able to focus as possible during your reading sessions. For some people, this may mean almost complete silence, for others, especially me, am more comfortable playing background music such as classical hits. (You can download a lots of classical hits online, they help to relax your brain while reading). Some of us need everything completely tidy and organized in order to concentrate, while others thrive in a more cluttered environment. Think about what works for you, and take the time to get it right. 5. Plan your exam day: Make sure you get everything ready well in advance of the exam – don’t leave it to the day before to suddenly realize you don’t know the way, or what you’re supposed to bring. Check all the rules and requirements, and plan your route and journey time earlier because we know how bad Nigerian roads are. So if your exam center is quiet far from where your location is, be sure to travel as early as possible to the exam venue If possible, do a test run of the trip. If not, write down clear directions. Work out how long it will take to get there – then add on some extra time. You really don’t want to arrive having had to run halfway or feeling frazzled from losing your way. You could also make plans to travel to the exam with friends or classmates, as long as you know they’re likely to be punctual. Everyone’s different, so develop a study routine that works for you. If you study better in the morning, start early before taking a break at lunchtime. Or, if you’re more productive at nighttime, take a larger break earlier on so you’re ready to settle down come evening. Try not to feel guilty about being out enjoying the sunshine instead of hunched over your textbooks. Remember Vitamin D is important for a healthy brain. You may feel like you deserve a treat, or that you don’t have time to cook, but what you eat can really have an impact on energy levels and focus, so keep away from junk food. Keep your body and brain well-fueled by choosing nutritious foods that have been proven to aid concentration and memory, such as fish, nuts, seeds, yogurt and blueberries. The same applies on exam day – eat a good meal before the test, based on foods that will provide a slow release of energy throughout. Sugar may seem appealing, but your energy levels will crash an hour later. As a final tip of this article, learn to Take adequate water, remember that being well hydrated is essential for your brain to work at its best. Make sure you keep drinking plenty of water throughout your revision, and also on the exam day. Good luck! In your jamb examination, remember determination is the key to success. 0 Response to "PLEASE READ: Super Hacks To Pass 2019 Jamb CBT Exam"